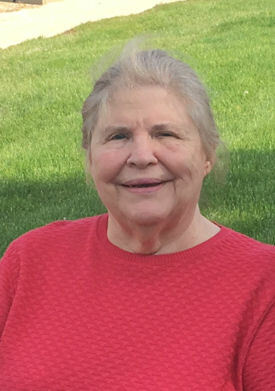 Judith Ann Jobgen, 79, of Dubuque, Iowa passed away on October 10th, 2018 at her residence. According to her wishes no public visitation or service will be held. Leonard Funeral Home & Crematory, 2595 Rockdale Road is assisting the family. Judith was born on March 29, 1939 in Dubuque, Iowa the daughter of Irwin and Mildred (Foell) Lesch. She married Gerald Jobgen on August 27, 1960 at Sacred Heart Church. She worked for Stampfers Department Store and had 25 years of service at Creslanes Bowling Alley. She was a member of the 600 Bowling Club. Judy was a loving mother, grandmother, and great grandmother. She loved decorating for the holidays and special occasions. She was also very skilled at creating center pieces for family and friends. She is survived by her two children James Jobgen and Paula Tschudi; her daughter-in-law Donna Jobgen; grandchildren, Adam, Matt, Caleb, and Jarrett Jobgen, Sydney and Sebastian Fox and Carter Tschudi. Great granddaughter Natalie Fox and future great granddaughter Zoey Jobgen along with her sister-in-law Loretta (Cook) Lesch. She was preceded in death by her parents; her husband Gerald; a son Timothy; brothers Jack (Kay) Lesch and Jim Lesch; sisters Jane (Ken) Hefel, and Joan (Roger) Hoskins; brothers-in-law Joe, Gene, and Charles Jobgen; sisters-in-law Virginia, Leonora and Amelda.